Maruti Suzuki India today said the all-new version of its compact sedan Dzire has crossed 100,000 unit sales milestone in just five and half months of launch. The third generation Dzire was launched in May 2017 and has become the fastest to clock 100,000 unit sales mark, Maruti Suzuki India (MSI) said in a statement. 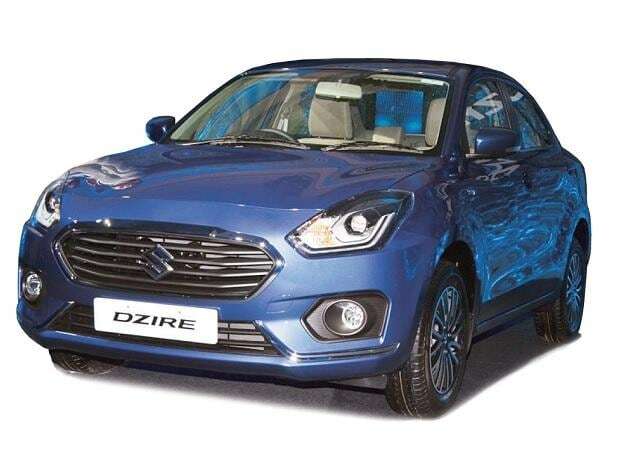 "The new Dzire takes the brand to a whole new level an authentic sedan designed for the young, aspirational and indulgence seeking Indian customer," MSI Senior Executive Director (Marketing and Sales) R S Kalsi said. Built afresh on the HEARTECT platform, the new Dzire continues to fulfil the growing aspirations of young and prosperous India, he added. MSI said its Auto Gear Shift (AGS) technology has found increasing acceptance among customers with 17 per cent of Dzire customers opting for AGS variant during April-September 2017. The model is also equipped with features like SmartPlay infotainment system with Android Auto, Apple CarPlay and Mirror-link technology. Fuel efficiency is also one of the main attractions of the new Dzire with the diesel variant delivering 28.4 kmpl while petrol variant giving 22 kmpl, the company said.